Lumex Ltd. founded. Development of the luminescent methods for water monitoring. Design and production of the first «Fluorat» analyzers. 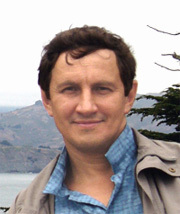 Development and certification of new methods. Development of the microwave digestion system Minotavr. Development and production spectrofluorimeter PANORAMA. Development and production of mercury analyzer RA-915. Production of capillary electrophoresis systems CAPEL. Production of the new version of Fluorat. Production of NIR analysers InfraLUM FT-10. Production of AA spectrometer MGA-915. Development of Pyro-915+ attachment and series of mercury monitors. Production of the new version of capillary electrophoresis systems Capel-105M. Production of the new NIR analyzers Whole Grain NIR Analyzer. Development of new InfraLUM FT-08 FTIR spectrometer. Development of the Real-Time PCR analyzer AriaDNA. The company employs more than 300 people, more than 25% of whom are involved in the research and development of new methods and instrumentation. More than 30 models of analytical instruments have been developed starting from 1991. Lumex offers to our customers more than 120 applications for the measurement of organic and inorganic chemicals in water, soil, air, or food supplies. Number of instruments shipped: More than 16 500 units. Geographical coverage: Customers in more than 90 countries worldwide. Quality management: Certified for ISO 9001:2015 compliance. In 1999, Lumex was certified for compliance with the requirements of ISO 9001:1994 international standard. As the years pass, we try to keep up to date and improve further the quality of our products and services to satisfy our customers. Since 2004, our company annually confirms the compliance of the existing Quality Management System (QMS) with the requirements of ISO 9001. 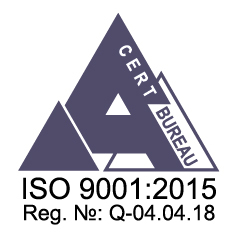 In the beginning of 2019, Lumex group was certified for compliance with the new version of the standard ISO 9001:2015. Lumex QMS is confirmed by the certificate issued by ACERT Certification Bureau that is acknowledged worldwide (Certificate № Q-04.04.18). The certification covers the development, design, production, delivery, sales, servicing of multifunctional measuring and analytical equipment and also supporting analytical techniques.